Hi, my name is Autumn Hale from Springport Middle School and here’s what’s going on around town for kids like me. 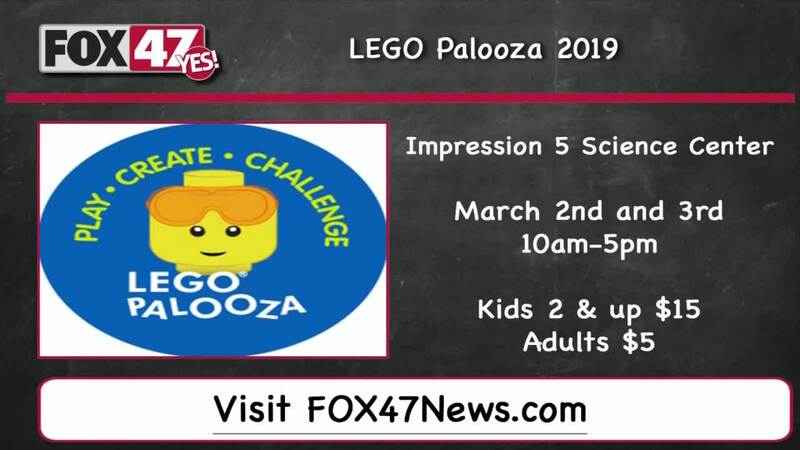 Come to Impression 5 Science Center on March 2nd and 3rd for a full weekend of special LEGO-themed activities and challenges. Unleash your imagination in the free-build area, play in our LEGO arcade, and much more during this annual FUNdraiser! For more info on events like this, go to FOX 47 news dot com, my name is Autumn Hale now back to the FOX 47 studios.